In Latin America, Will the US Ever Learn? What do the tens of millions of marginalized people think about democracy and human rights? How do they feel about political models? What do they think of election laws? Is this the civil society that international governments and organizations take into account? What would they say if asked about the economic and monetary policies? The signing by the heads of State or Government of the Proclamation of Latin America and the Caribbean as a Peace Zone marked a historic step, and now provides a point of reference for our States' relations with the rest of the world. Referring to the status of Puerto Rico as a United States territory Raul Castro notes that "the (LatinAmerican and Caribbean) Community would be incomplete while Puerto Rico is not a member. The colonial situation of that country is inadmissible, and its Latin American and Caribbean nature are beyond dispute. We reaffirm our concern for the huge and growing military expenses imposed on the world by the United States and NATO, as well as for the intent to expand the latter's aggressive presence up to the borders of Russia, a country we are bound to by historical, fraternal and mutually advantageous relations. We state our vigorous opposition to the unilateral and unjust sanctions imposed on that nation." Referring to the lifting of the economic blockade, the Cuban president noted that the American president "could allow other sectors of the economy to do what he has authorized in the field of telecommunications with the clear objective of exercising political influence in Cuba." On the other hand, the spokespersons of the US government have clearly stated that the methods are changing but not the objectives of their policy, and insisted in actions that interfere with our internal affairs, something we will not accept. The American counterparts should not pretend to relate with the Cuban society as if a sovereign government did not exist in the Island. No one would even dream that the new policy announced accepts the existence of a Socialist Revolution 90 miles away from Florida. The middle part of Raul Castro's speech expressed unwavering support for Latin American issues and countries, making it clear that the consensus in what had long been seen as America's backyard was that henceforth the Yankees would be expected to mind their own business. President Obama's speech, which preceded Castro's, showed that as yet, no American president can afford to do other than seek to tone down Washington's ingrained habit of telling other countries how to behave, condescending to them in its own behavior. While Africa and the Middle East descend into a long night of turmoil, struggling against under-development while repelling attacks from radical Islam, Latin America could emerge as a uniquely peaceful continent, if Washington could step back and allow it to pursue its variations on the Cuban experiment. However, the temptation may be irresistible in the halls of power to try to make up for disasters elsewhere by seeking to reimpose a modified version of the Monroe doctrine, as illustrated by on-going threats to Venezuela, and which its President Nicholas Maduro denounced to Obama's face. 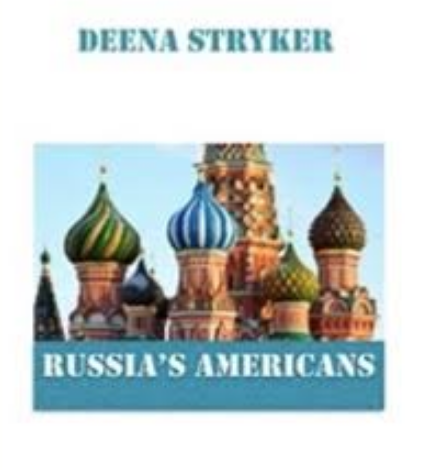 Born in Phila, I spent most of my adolescent and adult years in Europe, resulting over time in several unique books, my latest being Russia's Americans. A time-line comparison of the rise of Fascism in Nazi Germany and today's United States.